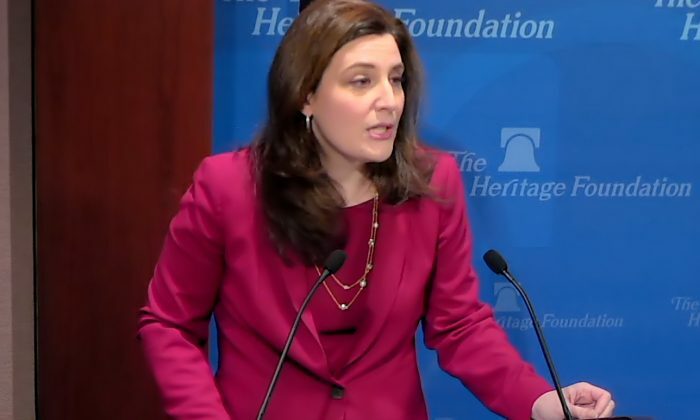 The historically unprecedented, recent tendency of unelected federal judges to issue sweeping nationwide injunctions against the Trump administration, in which they impose their own policy preferences on the nation, is becoming a threat to the rule of law and democratic governance, a senior U.S. Department of Justice official told a Heritage Foundation audience. The statement came from Beth Williams, assistant attorney general in the Justice Department’s Office of Legal Policy, during a Heritage panel discussion titled, “The Legitimacy of Nationwide Injunctions” that took place on Feb. 4. According to a Department of Justice (DOJ) review, an average of 1.5 such injunctions were issued each year against the administrations of Ronald Reagan, Bill Clinton, and George W. Bush. Under Barack Obama, the average rose to 2.5, Williams said. Twenty injunctions, representing an eightfold increase over the Obama-era average, were issued against Donald Trump’s administration during its first year. “We are now at 30, matching the total number of injunctions against the first 42 presidents combined,” she said. The DOJ opposes nationwide injunctions, which are also known as “universal” injunctions, “limitless” injunctions, or as Supreme Court Justice Neil Gorsuch has termed them, “cosmic” injunctions, Williams said. Nationwide injunctions “grant relief to parties outside the case and outside the class-action framework, when relief is not necessary to address the plaintiffs’ injury,” she said. In earlier days, it was thought that when courts deemed it necessary to issue injunctions to provide immediate emergency relief to litigants, those injunctions ought to be narrowly drawn, affecting only the parties involved or the jurisdictions, states, or judicial circuits in which the litigation was taking place. But, as Williams explained, U.S. district judges today frequently enjoin federal policies that reach well beyond their home jurisdictions or the subject matter of the case. A phalanx of federal judges blocked Trump’s travel ban by way of national injunctions that prevented residents of terrorism-plagued countries from visiting the United States. Judges similarly attacked Trump’s crackdown on so-called sanctuary cities and on the Deferred Action for Childhood Arrivals (DACA) program that conservatives say is unconstitutional because former-President Obama created it by mere executive action. Lawmakers are acutely aware of the growing problem of unelected federal judges taking it upon themselves to veto presidential actions by issuing nationwide injunctions that reach far beyond the confines of a particular case. In the previous Congress, then-House Judiciary Committee Chairman Bob Goodlatte (R-Va.) promoted the proposed Injunctive Authority Clarification Act of 2018 in an effort to restore the traditional understanding that a federal court’s injunctive power extends only to the protection of the parties before it. Then-U.S. Attorney General Jeff Sessions directed federal prosecutors to try to curb these so-called “non-party” injunctions that allow judges to function as lawmakers. Conservatives have long complained that left-leaning judges use their powers to advance left-wing policies after Democrats lose at the ballot box. Thus, Democratic Party policies still end up being enacted even when they are rejected by the voters. Nationwide injunctions issued by politicized judges are especially problematic, conservatives argue, because they allow one judge to bring federal government operations to a halt. Nationwide injunctions also have a corrupting effect on the legal process, partly because there is a temptation by parties to seek out sympathetic judges and go forum-shopping, Williams said. Conservative legal commentators, for example, nowadays frequently accuse left-leaning lawyers of selecting specific U.S. district courts as litigation starting points inside the geographical boundaries of the San Francisco-headquartered U.S. Court of Appeals for the Ninth Circuit, because they know they have a good chance of finding a liberal judge eager to strike down a Trump administration policy. Nationwide injunctions also cause chaos in the legal system, disrupting the federal government’s policy-making processes and preventing the nation’s elected president from doing his job. “We believe the erosion of our rules and norms by those duty-bound to uphold the law is always a serious concern, and we believe that the rash of nationwide injunctions strikes at the heart of our democratic system,” Williams said. “A nationwide injunction seriously impedes decision-making in the federal courts by interfering with percolation of a contested legal issue. It also invites unvarnished judge-shopping, undermining faith in our judiciary and allowing unelected district court judges to issue wholesale vetoes,” she said. 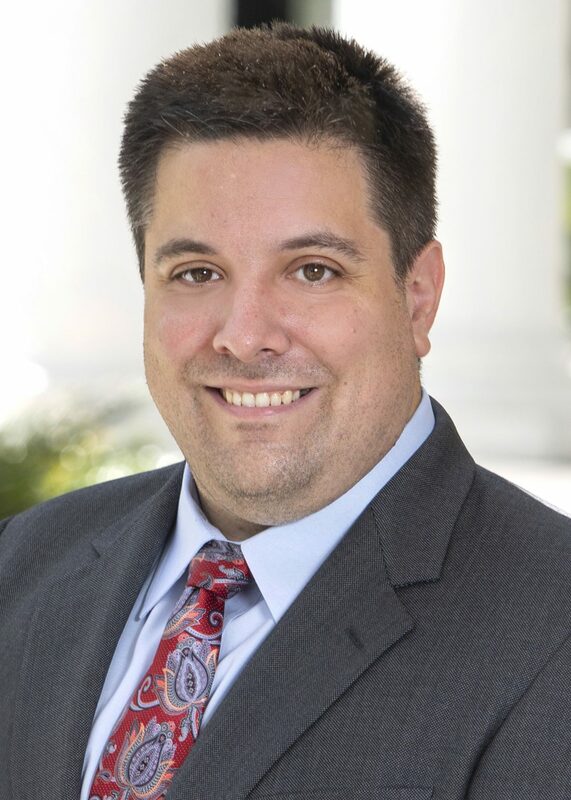 Another Heritage panelist, Michael T. Morley, assistant professor at Florida State University College of Law, said that nationwide injunctions jeopardize “the fundamental constitutional rights” of Americans. “Nationwide injunctions, particularly when they’re affirmed on appeal … the fundamental constitutional rights of hundreds of millions of people throughout the nation are being flicked on and off like a light switch. Williams quoted from Supreme Court Justice Clarence Thomas’s concurring opinion last year in Trump v. Hawaii, a landmark decision that upheld Trump’s Presidential Proclamation 9645, which banned high-risk travelers from Islamic terrorist-infested nations. Thomas wrote that nationwide injunctions, “are beginning to take a toll on the federal court system.” They are “legally and historically dubious,” he added. “I am skeptical that district courts have the authority to enter universal injunctions,” Thomas wrote.